Madeleine is the newest member of the Milwaukee Symphony Orchestra’s cello section. She served as Acting Assistant Principal Cellist last season, and sat as principal for her first 7 months. Prior to this appointment, she was principal cellist of the Amarillo Symphony in Texas and assistant principal in the Madison Symphony. Ms. Kabat has performed as a substitute with the Cleveland Orchestra, Los Angeles Philharmonic, St. Paul Chamber Orchestra, Orpheus Chamber Orchestra, and the Houston Symphony. She has appeared as guest principal cellist with the Orquesta Philarmonia Mexico, Madison Symphony, Mansfield Symphony, and CityMusic Cleveland. 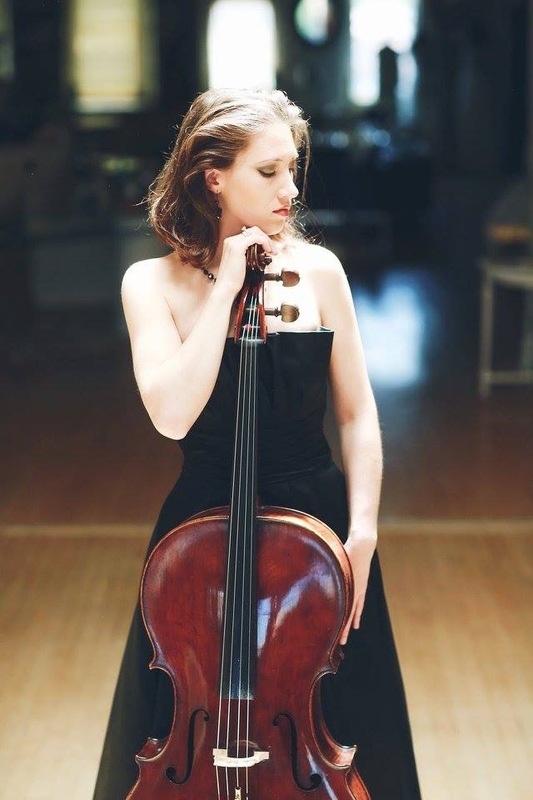 Following her solo debut with the Cleveland Orchestra at age 18, Madeleine has been featured as soloist with dozens of orchestras; most recently the Amarillo Symphony (TX), Renova Festival Orchestra (PA), Lima International Music Festival Orchestra (Peru), Gulf Coast Symphony (MS), Minot Symphony (ND), Red de Escuelas de Musica Orquesta (Medellin, Colombia), Cleveland Philharmonic (OH), Spoleto Festival Orchestra (SC), Festival Mozaic Orchestra (CA) and Marin Symphony (CA). In 2012 she made her solo debut at the Kennedy Center in Washington DC on an invitation to represent the Oberlin Conservatory. Madeleine has stepped in for delayed cello soloist Alban Gerhardt on a few hours notice to rehearse Prokofiev’s Symphony-Concerto with the Madison Symphony, and performed the Dvorak Cello Concerto with the Springfield Symphony in Missouri as a last minute replacement for their injured soloist. Last summer, she performed chamber music concerts with the Bach Dynamite & Dancing Society as a last minute replacement for Parry Karp. In June, she presented a solo recital at the Lev Aronson Legacy Festival in Dallas. An active chamber musician, Madeleine was named Visiting Artist at La Sierra University in Riverside, CA, where she performed chamber music concerts and gave master classes from 2011-16. During the summer she performs chamber music and orchestra concerts at the Lakes Area Music Festival (MN), Festival Mozaic (CA), and is a faculty artist at the Renova Chamber Music Festival (PA). Ms. Kabat has appeared twice as a featured guest artist for the Lima International Chamber Music Festival in Peru, and has also performed chamber music in China, Korea, and in Colombia (South America) numerous times as faculty artist of Medellin Festicamara. She has given masterclasses at Festicamara and La Sierra University as well as at Southern Methodist University in Dallas, the University of Wisconsin at Stevens Point, Northwestern State University, Eastern Michigan University, Minot State University (ND), Sahmyook University (Seoul, Korea) and at La Jolla’s SummerFest. Ms. Kabat began cello lessons in Cleveland at age 11, and has won top prizes in the competitions of Fischoff, Hellam, and Klein International. She holds diplomas from the Cleveland Institute of Music, Rice University, the Juilliard School, and most recently Oberlin Conservatory, where she was a teaching assistant for Professor Darrett Adkins. She resides in Milwaukee, WI and performs on a William Forster cello made in London in 1790.